Lavishly designed and famously placed, this Bradley Bayou designed contemporary home lives and breathes artistic energy. Perched high above Los Angeles in the famed Bird Streets, this piece of architectural brilliance displays the sought after indoor-outdoor living floor plan with direct access to the pool, gardens, and foliage from every room. 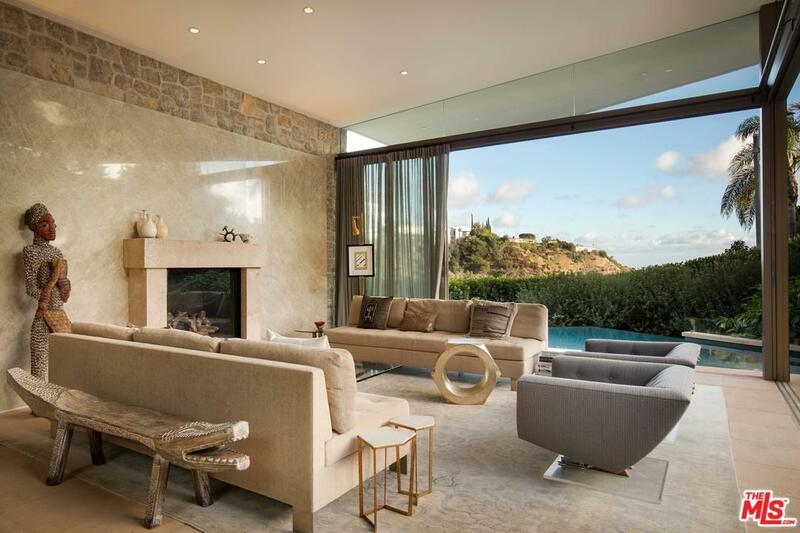 The home features brush hammered Athena limestone floors & hand-cut stone walls throughout. Enjoy the main living spaces that open to the infinity pool with 10 person spa, and outside lounge with fire pit. The master bedroom comes with private fireplace, seating area, patio, and spa with its own sunken bath tub, and the walls of glass that look out into the Zen Garden and Yoga deck. This home is the pinnacle of world calls design and luxury, created for privacy and confront.